Founded Christine took over from her father in 1992. France’s Southwest region of Madiran has made wine since Gallo-Roman times, and its bounty was noted by the court of Edward the Black Prince of Aquitaine in the 14th century. Tannat’s power and Madiran’s microclimate combine to make one of France’s truly big wines in terms of tannin content (it’s worth noting that Irouléguy, the other Tannat appellation, is higher in the Pyrenean chain where the cooler, wetter weather makes for a more acid and angular rendition of wine). Madiran’s viticulture fell into steep decline with phylloxera and continued to fall during the long, dreary aftermath. In 1953, plantings of Tannat here were down to six hectares of vines, or so the appellation records claim. Fortunately Madiran (unlike Cahors), managed to escape the frost of 1956. Its revival began in the 1970s. Today, Madiran has some 1,300 hectares (3,212 acres) of vines of various stripes, with the majority in Tannat. 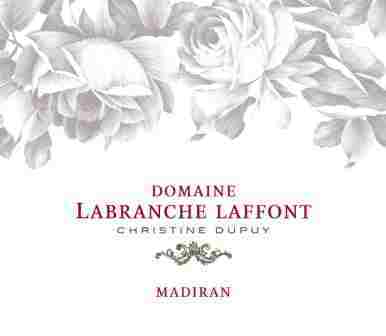 Christine Dupuy took over her family’s six-hectare (15-acre) wine estate, Domaine Labranche Laffont, in 1992 when her father died unexpectedly. She was 23 at the time and the estate had been in her family since before the French Revolution. By chance she had just finished her degree in enology, but she had little practical experience. So she went to neighboring Château d’Aydie, Domaine Capmartin, and Domaine La Chapelle Lenclos, all of whom were among the most prestigious domains in the appellation at the time. During that first year they helped this precocious young vigneronne get off on the right foot. Christine has come a long way since those early days, and today she farms 20.50 hectares (50.65 acres) of vines, all hand-harvested and tended organically. Of those, 17.5 hectares (43 acres) are devoted to red varieties and the rest to dry and sweet whites. Insofar as she works to refine Tannat’s inherently tannic grip, her red wines are modern in style, but she loses none of the textural density that made the grape famous. Her reds are rich, ripe, and round—and surprisingly elegant for wines of such scale. If you want soft sweet red fruit, look elsewhere; but if it’s chewy deep dark density that you seek, go no further! I’ll add one more thing: if you are lucky enough to remember or know really good, old school Bordeaux, and are tired of the overworked and over-oaked concoctions coming out of so much of Bordeaux today, try Christine’s wine. It will renew your faith. Christine received certification for organic farming in 2014. 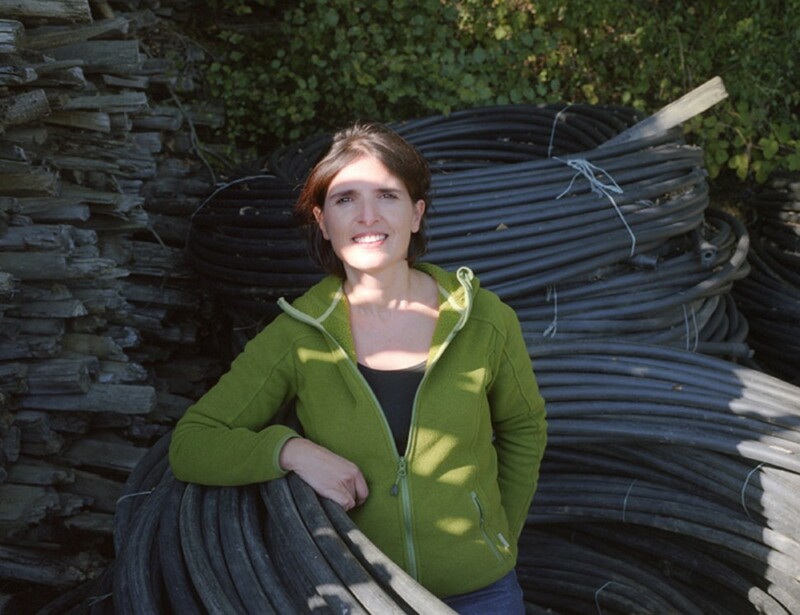 She is a member of a group of organic growers in the Southwest known as A Bisto de Nas, and she is increasingly interested in biodynamic methods and in being as non-interventionist as possible. Video (in French) of Christine speaking about her parcel of pre-phylloxera vines. Based on Tannat with 20% Cabernet Franc and 20% Cabernet Sauvignon Made mostly in concrete vats, with around 1/3 raised in older barrels. A wine that responds well to air. Madiran Vieilles Vignes 100% Tannat From several parcels that total 7.5 acres. One parcel of roughly 2 acres is of pre-phylloxera vines in the neighborhood of 150 years old; the other parcels support vines that are at least 50 years old. Grapes are de-stemmed and the wine is raised in Bordeaux barrels, roughly 20% of which are new each year. Given several hours of aeration, this Tannat blossoms. In exceptional years, Christine will vinify the block of pre-phylloxera vines separately and bottle the wine as her cuvée Préphylloxérique. In all other years, the wine from these ancient vines goes into the vieilles vignes cuvée. 70% Gros Manseng, 30% Petit Manseng Madiran’s answer to Jurançon’s whites. But Madiran is further down off the Pyrenees than Jurançon (and Irouléguy), and Madiran’s Pacherenc wines tend to have more weight. This comes from a 5-acre parcel and is raised on its lees in older barrels. It’s a shockingly fresh and vibrant wine with quite a compelling nose. 90% Petit Manseng, 10% Gros Manseng From 2.5 acres of vines. Made in barrel, half of which is new.